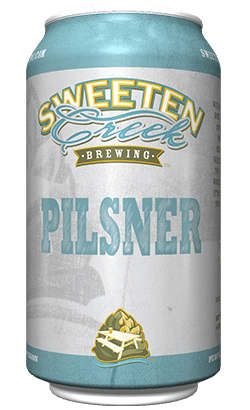 Sweeten Creek Brewing - People. Pride. Passion. This beer is very gold to deep burnished gold, brilliant to very clear, with a dense, long-lasting creamy white head. The rich, complex malt body perfectly complements soft and rounded hop bitterness that results in a crisp, well-rounded, and wonderfully refreshing offering. This slightly copper colored, medium bodied pale ale combines a balanced hop bitterness with a subtle malt body. Featuring a bold citrusy, piney resin-like hop flavor, this pale finishes clean and crisp. Light in body and color with a crisp, refreshing mouthfeel and a bountiful hop profile featuring citrus, pine, tropical fruit, and floral notes. This beer has a very light golden hue and is crystal clear. East meets West in our signature IPA that combines the balanced malt body and hop bitterness of Northeast style IPA’s with a soft mouthfeel. A bright, floral hop aroma turns to citrus, piney, and fruity flavors that result in a clean, crisp finish. 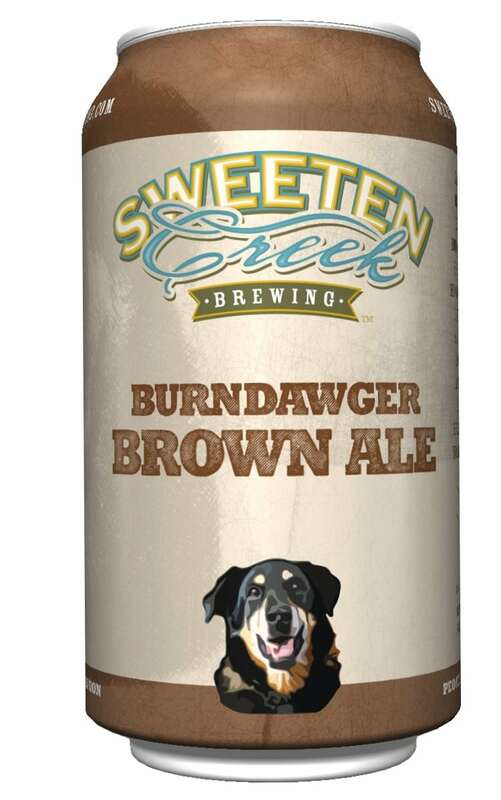 This American Brown Ale has a rich copper brown color with a malt forward sweetness complemented by a balanced hop bittering featuring citrusy and spicy hop characteristics. A very clean finish with a balanced toasty, nut flavor. This American Maerzen is brilliantly clear which showcases its beautiful deep copper color. Malts add a toasted aroma with slight biscuit notes. Low levels of clean hop bitterness allow for a balanced sweet maltiness. Mandarina hops add a balanced citrusy, floral flavor and aroma with contributes to this beer overall clean crisp finish. The Grains of Paradise contribute peppery notes which meld into a spicy crisp ginger finish and is complimented with the citrusy aroma and flavor of coriander seed and orange peel. 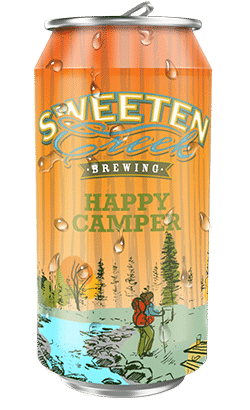 With just enough body in the beer to balance with the sweet and spicy flavor of the orange peel and spices, this beer is refreshing and clean on the finish leaving no residual spicing or sweetness in the drinkers’ mouth. This is a “Moreish” type summer wit. Deep layers of rich dark chocolate provided by cocoa are balanced wonderfully with the smooth mouthfeel of lactose powder in this easy drinking stout. Chinook hops used as bittering and aroma additions lend a citrus flavor to complement the robust flavor of the dark roast malts. 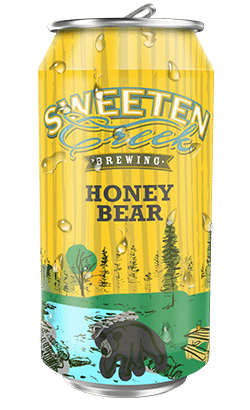 Brewed with Belgian Yeast, Ahtanum Hops and Fresh Honey this Belgian Style Ale has a Delightfully Crisp Body Balanced By a Subtle Belgian Yeast Character Great For Spring Time Sipping. Light in body and color from the use of only pilner malt. the mix of malt with columbus hops allows for a crisp smooth flavor allowing both ingredient to shine. A subtle use of bittering hops provides a gentle citrusy flavor with a pungent floral aroma from dry hopping. 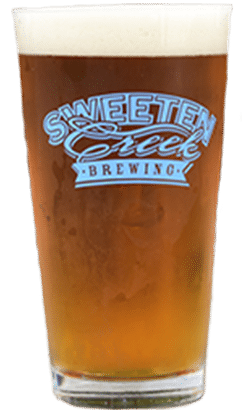 This delicious brew with its bready, malty body and mahogany color blends perfectly with a subtle hint of pumpkin spice to create a perfect beer for lovely fall days or nights. 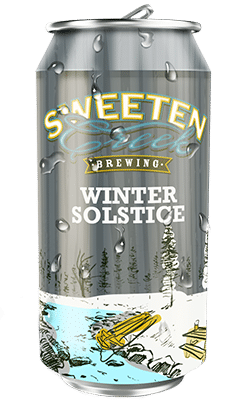 Named for the South Asheville Mountain which cradles both the Blue Ridge Parkway and the Mountains to Sea Trail while harboring the headwaters of Sweeten Creek. 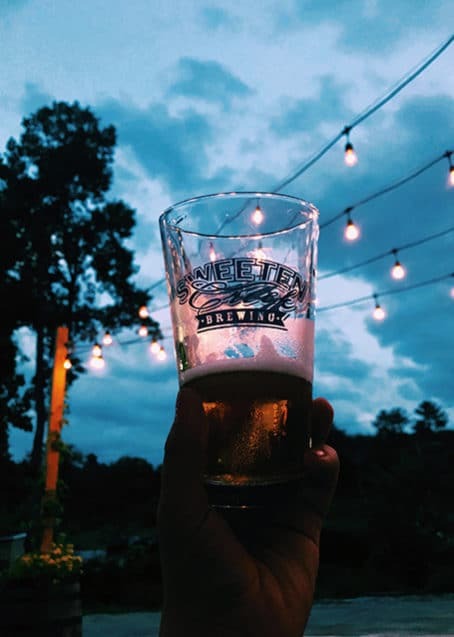 Busbee Mountain’s appearance from the creekside lawn at Sweeten Creek Brewing is a reminder of just how close these mountain treasures are to civilization. Busbee Black IPA offers a wonderful balance Dark chocolate malt flavors with a silky smooth mouthfeel; a moderate hoppy bitterness complements the surrounding malt body. 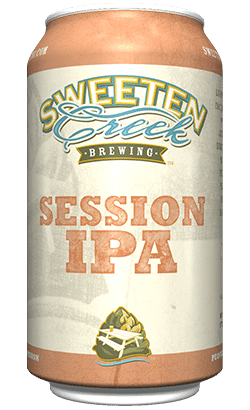 At 6% ABV, Sweeten Creek Brewing Busbee Black IPA packs pungent citrus aroma and finishes with crisp citrusy milk chocolate flavor. This super fun duet will have you singing along and tapping your feet. 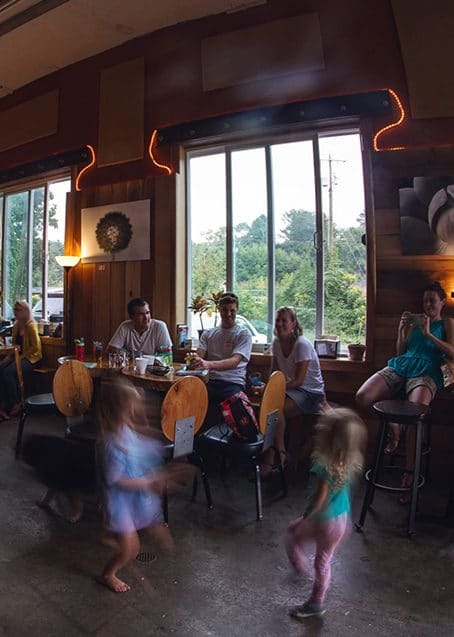 We are a group of creative and talented individuals looking to direct our passion for craft beer, food, and community into a thriving destination brewery and sandwich shop with a relaxed, comfortable, and family friendly atmosphere. 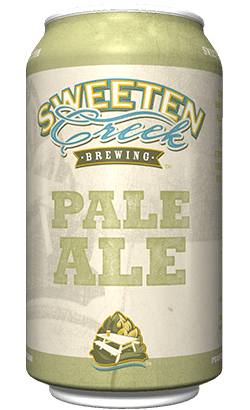 Sweeten Creek Brewing hopes to build a destination for beer enthusiasts while contributing to the surrounding community and industry while creating an environment that non craft beer enthusiasts can also appreciate with our delicious menu, cozy tasting room, outdoor space. Click below to view our full menu. Crispy mini-twist pretzels with house-made pimento cheese & Black IPA mustard. Fresh romaine and mixed greens topped with our house-made corn and black bean salad, avocado, shredded cheddar cheese served with a spicy ranch dressing. *Add grilled chicken +$2.50. Romaine and mixed greens, grilled chicken, tomato, red onion, and white cheddar tossed in a creamy caesar dressing and served in a warm spinach wrap. Hummus on a spinach wrap with shredded lettuce, shaved onion, tomato, pickled peppers & a horseradish yogurt sauce. 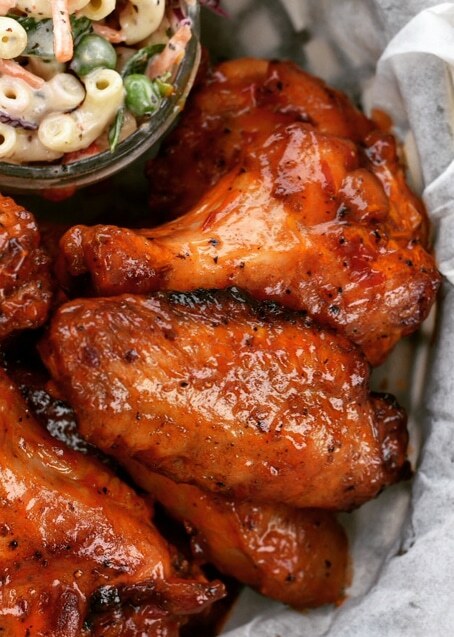 Garlic marinated chicken with mayo and celery. On toasted wheatberry bread with lettuce, tomato and onion. The classic sandwich you know and love. Bacon, fresh lettuce, tomato and mayo served on two pieces of lightly toasted thick-cut Texas toast. Smoked ham, double cheddar, lettuce, tomato, onion, mayo and house-made IPA mustard piled high between two slices of hearty wheatberry bread. Salami, capicola, smoked ham, and provolone plus mayo, sub dressing, shredded romaine, tomato, shaved onion, and house pepperoncini served on a sub roll (want it spicy? Sub sambal mayo on request!). Turkey, bacon, and avocado melt with house-made pimento cheese on thick-cut wheatberry bread. Big 1/4 lb all-beef hot dog, split and griddled crispy topped with bacon, grilled onion, pickled jalapenos, avocado & spicy mayo on a sub roll. Big 1/4 lb all-beef hot dog, split and griddled crispy topped with house-made kimchi and pickled onion drizzled with spicy mayo and served in a warm sub roll. Come join us for a tasty beer and delicious sandwich, wrap, salad or a hot bowl of soup. We are located just behind SmartStop Self Storage & Sulaski Tinsley, 1 mile South of the I-40. overpass. Turn on the private drive between these two signs, cross the creek and you will find us in the big blue and white building on the right. Hope to see you soon! Feel free to call if you have any trouble finding us. 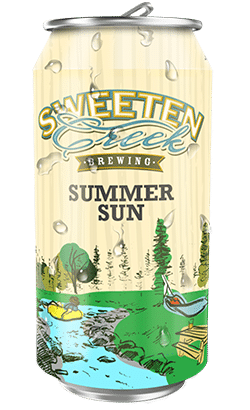 2019 Sweeten Creek Brewing. All Rights Reserved. Your request has been received and we'll be in touch with you shortly.